Let’s face it, keeping in shape on holiday is never easy. Jetlag, a new climate and a change in routine can decrease motivation. If you’re travelling for a long period, you're likely to spend some time on a beach. If an early morning run on the beach or fitness routine doesn't motivate you, try something a little more fun. 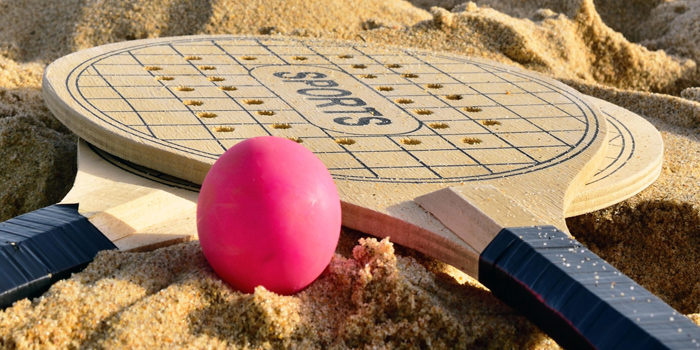 Beach games are a great way to keep in shape when you travel, you won't even notice you're exercising. If you're travelling with friends or family, encourage them to join in. If you’re travelling alone, this is a great opportunity to meet new people. Gather some people from the beach or the hotel to join you. Here are my top calorie burning beach games for your holiday. Whoever gets to 20 points first wins the game. Flicks 'n' Sticks involves interval training which increases metabolic rate and burns more calories. One game can burn up to 450 calories. If you love being in the sea, then Waboba Ball is the perfect beach game for you. This ball bounces on water. 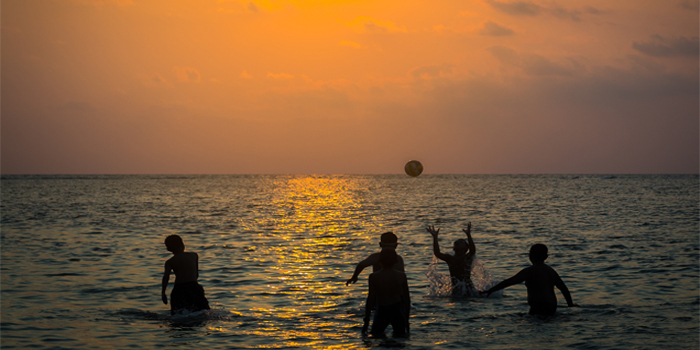 Play a simple game of catch with a group of friends in the sea. To make the game more interesting, try spinning the ball as if you are a skimming a stone. This makes it more difficult for the other players to catch it. Waboba ball gives you a full body workout. You tread water with your legs, contort your body with your core, and you reach, catch, and throw with your arms. One game of Waboba Ball can burn up to 450 calories. Any ball thats floats can be used if a Waboba ball is not available. If there is a volley ball net at the beach then make use of it. Volleyball is perfect for small or large groups. Use both hands together to hit the ball over the net and don’t let the ball touch the ground if you want your team to win the game. Controlling the ball is harder than it looks but a little practise will go a long way. Playing volleyball can help to strengthen the upper body, arms and shoulders as well as the muscles of the thighs and lower legs. One hame can burn up to 330 calories. TIP: If there is a group of people playing volleyball and you’d like to join in, simply wait at the side and the players will call you to join in. We saw this happen a lot on Copacabana beach in Rio where volley ball is very popular. You can never go wrong with a classic game of beach bat and ball, which requires just 2 players. If you haven't brought a bat and ball with you, you can buy them in most seaside shops for an afforable price. They're a great size to fit in your backpack if you decide to take them with you. As well as being a fun game to play, it’s great cardio exercise and builds arm strength. One game of Bat and Ball can burn up to 410 calories. 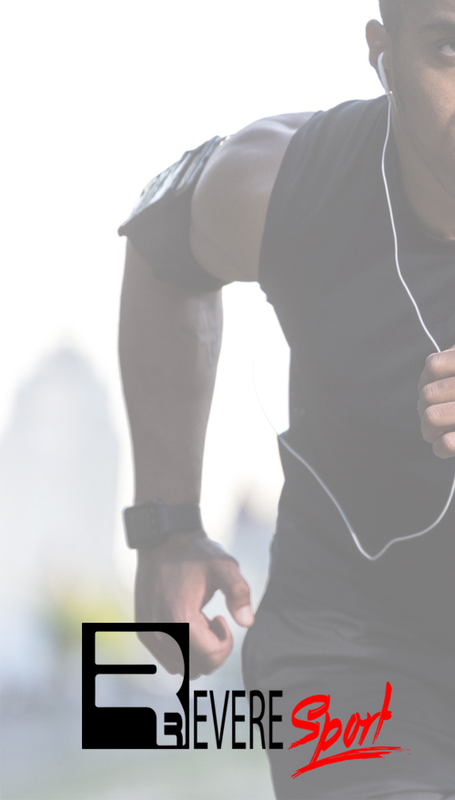 For more activities to keep you in shape, download our FREE Travel Fitness Guide! 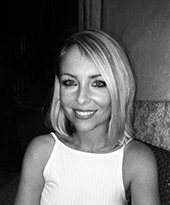 Samantha is the content creator and co-founder of RevereSport. Through her passion for fitness, nutrition and active travel, she aims to inspire others to lead healthier, sustainable lifestyles without compromising on fun.